The newly-published FIFA financial report contains a breakdown of how the $30 million in total prize money will be divvied up between the 24 finalists in the tournament to be held in June and July. The beaten finalists will pocket $2.6 million, beaten semi-finalists $1.6 million-$2 million and beaten quarter-finalists $1.45 million. Sides eliminated at the Last 16 stage will receive $1 million each; the remaining eight teams will pocket $750,000. A different document, FIFA’s 2018 governance report, gives details of the “compensation” paid to the governing body’s president and secretary general. The salary component of said compensation for the two officials in 2018 came to a combined total of $4,074,134. In detail, Infantino was paid a base salary of $1.98 million, to which was added a “variable” salary of $555,000. Corresponding figures for Samoura were respectively $1.34 million and $195,000. Both also benefited from the same flat-rate allowances of $24,319. FIFA also made employer contributions for social security, pension funds and accident/illness insurance for the pair totalling a combined $372,000. The prize money total for France 2019 is double the $15 million paid out at the last Women’s World Cup in Canada in 2015. 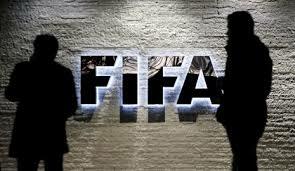 FIFA has also introduced preparation money for the 24 qualifiers. This will total $11.52 million and be used to support organisation of preparation matches. An $8.48 million club benefits programme is being introduced too, taking the governing body’s overall contribution to the national associations and clubs of participating players to $50 million. Total prize money at the Russia 2018 men’s World Cup was $400 million, with winners France getting $38 million and even the 16 teams knocked out at group stage pocketing $8 million each. Details of the France 2019 allocations come as a row over equal pay for the national women’s football team in the United States continues to rumble. Meanwhile, commercial interest in women’s football seems to be increasing. Orange this week joined Arkema, Crédit Agricole, EDF, Proman and SNCF in a heavyweight line-up of France 2019 National Supporters.